The door & window contact sensor quickly detects if a door or window has been left open. save more on security and energy. 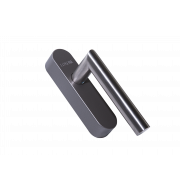 The door & window contact sensor quickly detects if a door and/or window has been left open. Better Security - In combination with the Miniserver and our Caller Service, the Loxone door & window contact sensor provides your Smart Home with a lot more safety. If any doors and/or windows are left open, you will be alerted to your smartphone via a phone call. Controlled ventilation - You can help your Smart Home ventilate by lowering the temperature naturally with an open window. Easy to install - Mounting is possible either by tape and/or screws. 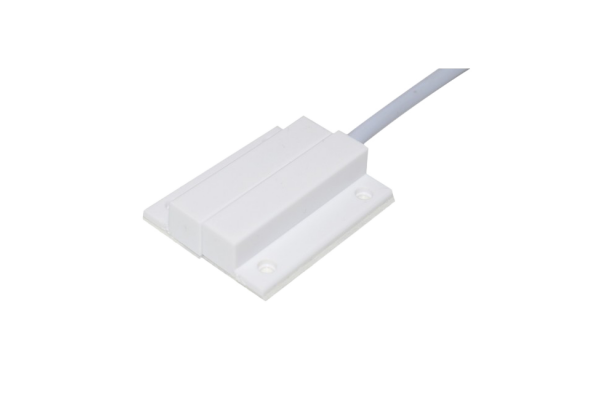 The reed switch is mounted on the window or door frame, the magnet on the movable part on the window or door wing. The maximum distance between contact and the magnet is 2.5 cm (0.98").